By Captain Willard Glazier, 1893, 527 pages. First edition. Navy blue hardcover, embossed in gold and silver title, and a map on the cover and spine. Measures 7.5" x 5.25". Glazier explored the headwaters of the Mississippi in 1881, and claims the discovery of the true source of the Mississippi lying immediately to the south of Lake Itasca, a small lake which he humbly named Lake Glazier. 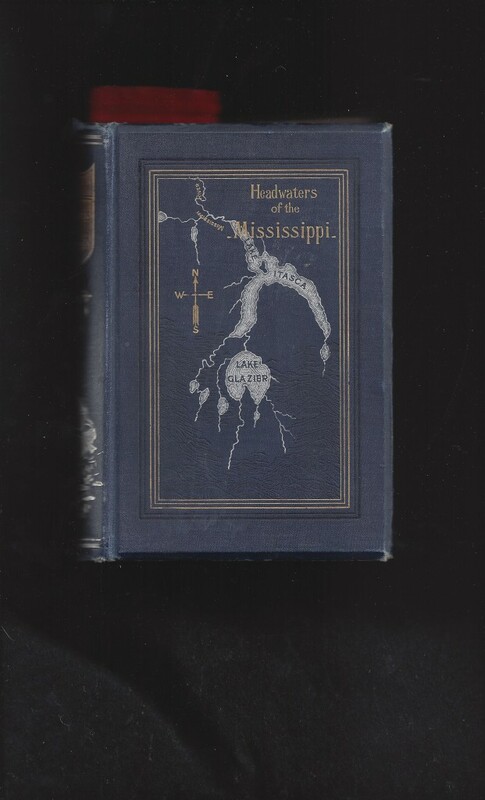 The photographic illustrations in this volume, by F.J. Trost, are said to be the first illustrations of the Mississippi headwaters.